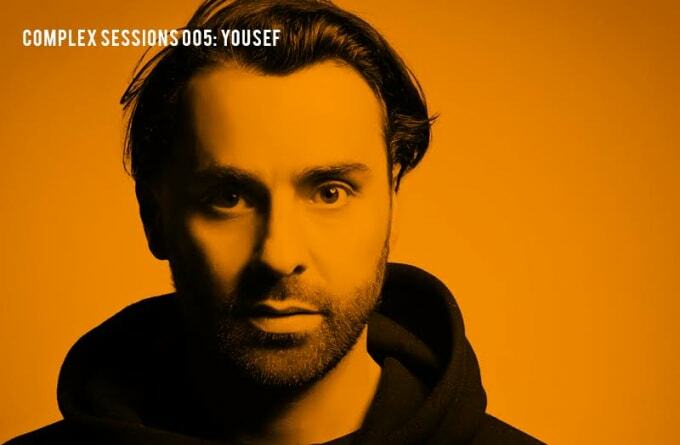 As founder of Circus Recordings and the Circus event series, Liverpudlian DJ and producer Yousef has carved out an impressive position in the world of dance music. He&apos;s released music on just about every one of dance music&apos;s most respected record labels, including recent tracks for Loco Dice&apos;s Desolat imprint and Ellen Allien&apos;s Bpitch Control, Crosstown Rebels, Get Physical, Defected, Cecile, Cocoon and Objektivity Records. On his own Circus Recordings, he&apos;s put out music from an equally impressive list that includes, but isn&apos;t limited to, Scuba, Krankbrother, Richey Ahmed, Subban, Nicole Moudaber, DJ Pierre, Timo Maas, Demian Muller. As head of Circus, and as an artist in his own right, Yousef has enjoyed some incredible career highs. With Circus he booked Loco Dice for his first ever UK date; he&apos;s collaborated with legends like Paul Woolford and Derrick Carter; and Radio 1 invited the label to record the 500th Essential Mix live from their club night in Liverpool. Not only that, but less than 18 months after the Circus club nights were launched, they were voted UK club night of the year. Next month (July 22), Yousef will be hosting a special show for the LIMF Presents series called House Nation at Sefton Park Palm House, Liverpool. He&apos;ll visit four cities—New York, Frankfurt, Mexico City and Liverpool—to speak to DJs and industry figures about house music&apos;s cultural impact on that city. The film will then be shown at his LIMF night with Dennis Ferrer, REBOOT and Hector representing the other three cities. In the build up to the big night, check out this exclusive mix he&apos;s put together for us. Tell us a bit about the selections in the mix. The idea behind the mix is to be entirely reflective of the artists involved in the LIMF House Nation project, which I was honoured to be asked to curate. The mix shows a little about the history of each artist, and mine, as well as up to date releases all of us have. The mix skips between the deep realms of Hector, into Reboot&apos;s impressive drum programming, into the classics from Dennis and all woven together with my own take on house and techno, as always, recorded live in one take on decks. For certain, the original version of "Saw Of Raw" by Dennis Ferrer. It&apos;s timeless, and a true blueprint for authentic house music. I felt this track in particular was reflective of New York as another city with vast musical heritage, so it had to be included in the LIMF House Nation selection, which we put together to explore how different cities around the world redefine exactly what house music is considered to be. Many! We&apos;ve all made so many choice cuts over the years that it was hard to pick. I really wanted to include "Circumstance 23" by Reboot, but I never got that nasty in this mix. What&apos;s the first single or album that you ever bought? First single was "Prince Charming" by Adam & The Ants. First album, probably the Street Sounds Electro 6 compilation. It&apos;s hard to say, because music is wide open right now. Techno is big today but I think the sound of traditional, authentic house music will be back again. Nothing! Each to their own.